We all know smoking is bad for us, causing everything from bad breath to increasing our risk of cancer. But, despite all the warnings, some of us still can’t resist an occasional ‘social cigarette’ at the pub – with others sustaining a full-blown addiction. Thankfully, scientists have discovered a brand new way to quit for good, and we have a feeling you’re going to like it. Say hello to smelling chocolate. 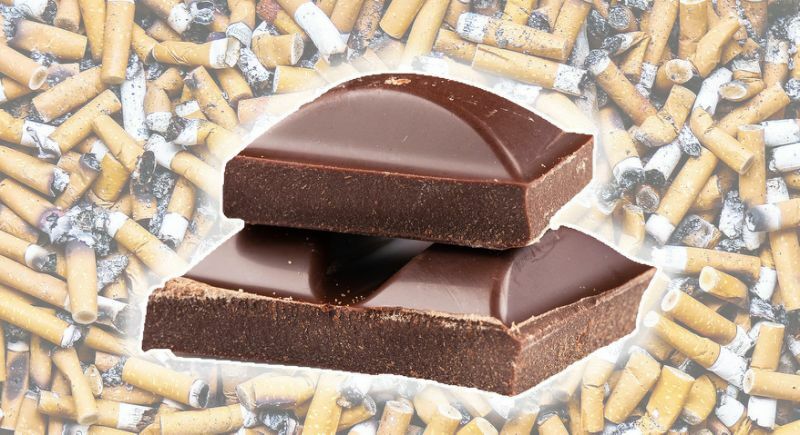 Yes, sniffing an aroma you enjoy, such as chocolate, vanilla or apple, could help you quit smoking for good, according to University of Pittsburgh scientists. As part of their study, subjects were asked to first pick their favourite aroma (lemon and peppermint were offered in addition to the above). They were then asked to light a cigarette and hold it in their hands without smoking it – likely torture for regular smokers. Then, they put the cigarette out and sniffed a box that contained either the pleasurable scent, tobacco or no scent for a minute, before rating their cigarette craving score. The average craving score just after lighting a cigarette as 82.13. But, after sniffing the box, those who had smelt the pleasurable scent found their score dropped more (19.3) points compared to the tobacco sniffing group (11.7 points) and no scent groups (11.2 points). “Our research suggests that the use of pleasant odors shows promise for controlling nicotine cravings in individuals who are trying to quit smoking,” said lead author Michael Sayette, PhD, of the University of Pittsburgh. He added that the new method might be able to prevent people taking up smoking again by “offer[ing] enough time for a smoker to decide to avoid or leave their high-risk situation”. Earlier this month, the NHS announced pregnant women will soon have to take a smoking test in a bid to reduce stillbirths. As part of a new drive to encourage women to quit smoking, mums-to-be will be required to take a carbon monoxide test in hospital to determine whether they, or their partner, smoke. At the moment, pregnant women are asked if they smoke during appointments, but this leaves it down to them to decide whether to reveal the truth about whether they are continuing to smoke. But from July, midwives and doctors will screen pregnant women at 12 weeks and 36 weeks. A good spicy challenge strikes a balance between flavour and fear.